At Payne’s Nurseries, we divide our trees into three categories: fruit, shade and ornamental so that you can find the information you’re looking for quickly. Of course an ornamental tree can also offer shade and a shade tree can be ornamental. 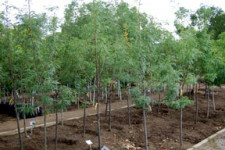 We consider the fastest growing shade trees to be Cottonwood, Willow and Silver Maple. Deciduous trees lose their leaves in winter. 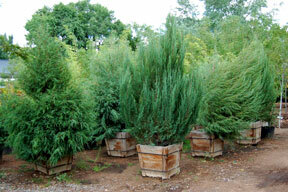 Conifer or “evergreen” trees are green year round.